We recently got to try the delicious range of Gordan Ramsey's Seriously Good Italian sauces - Bolognese & Red Wine, Cherry Tomato & Balsamic, Spicy Red Pepper & Spianta Sausage and my absolute favourite -Wild Mushrooms and Marscarpone. They were absolutely delicious - we ate them both with pasta and also as a sauce for meat and we enjoyed every single one. The Seriously Good Italian range have so far helped raise more than a quarter of a million pounds for Comic Relief since September 2009. As if the Italian selection weren't delicious enough, today saw the launch of Comic Relief’s Seriously Good Indian sauces. Gordon Ramsay took to London’s Brick Lane today serving up plates of Seriously Good curry to raise money for Red Nose Day 2011. Ramsay was joined at the pop-up curry stall by actress Shobna Gulati, who got stuck in selling plates to the lengthy queue of hungry Londoners. Adding to the festivities were colourful performances by the Hina and Co Bollywood Dancers and a special guest appearance by one of the giant Red Nose monsters of this year’s Red Nose Day campaign. 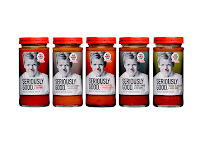 The new Seriously Good Indian cooking sauces have been developed by Gordon Ramsay to raise money for Comic Relief all year round, with at least 10p from every jar contributing to the charity. Gordon donates his time to the project and doesn’t make a penny. Those that were unable to make it to the curry stall are encouraged to get behind Red Nose Day by enjoying a Seriously Good curry at home. The new Seriously Good Indian range comprises four mouth-watering sauces including Royal Korma, Aromatic Masala, Butter Chicken and Spicy Red Curry. Red Nose Day 2011 is heading your way on Friday 18th March when the great British public will once again be asked to do something funny for money. To join in the fun go to www.rednoseday.com and find out how you can get involved. Seriously Good cooking sauces are available all year round in selected major retailers including Tesco, Sainsbury’s, Asda and The Co-Operative. The sauces are priced from RRP £1.89 with at least 10p from every jar sold going to Comic Relief. 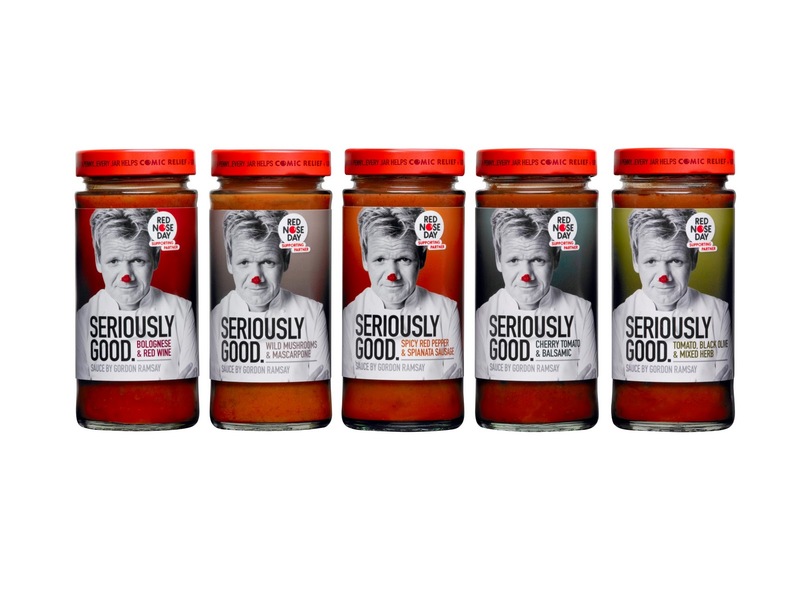 During the Red Nose Day 2011 campaign, specially marked packs of Seriously Good sauces will contribute directly to the Red Nose Day 2011 fundraising total.